Brela Napkins (Set of 4)Brela Napkins &#40;Set of 4&#41;, alt="Brela Napkins &#40;Set of 4&#41;, "
Print Our love affair with stripes continues. Serena spotted this pattern from a vintage textile library in India. We played with the color and scale to make it our own, and here’s the beautiful result. 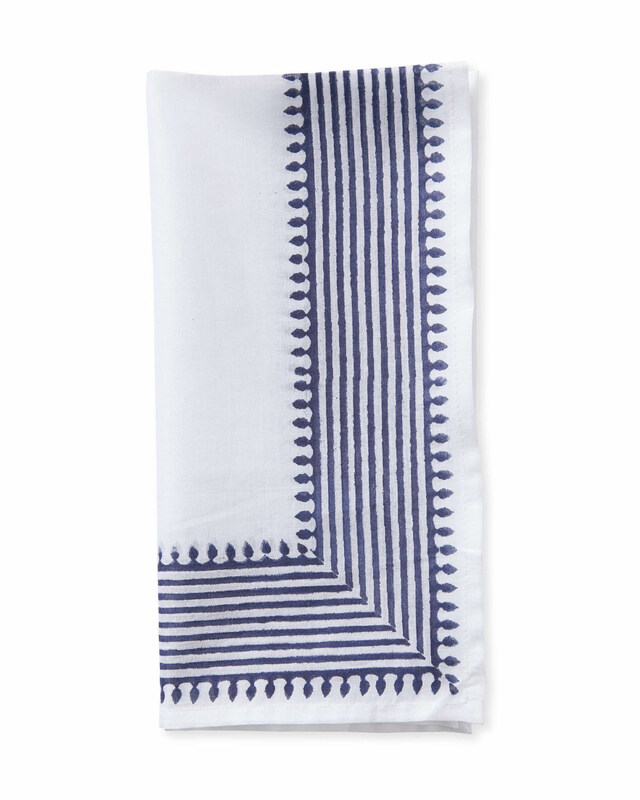 Block-printed by hand on soft cotton voile, each border stripe is slightly different from the next for a gorgeous look with a subtle sense of movement.